…our wedding date, that is. 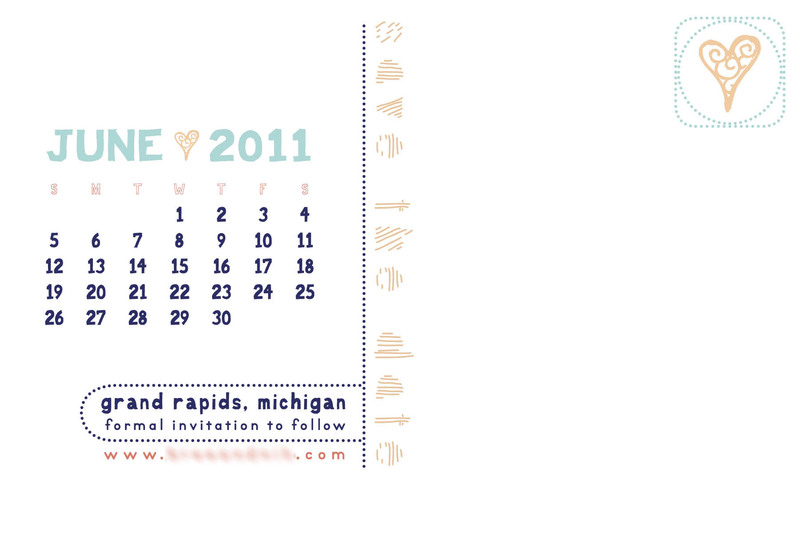 Mr. Bunting has a lot of out-of-town and out-of-state relatives, so save-the-dates were a must for us. Ok, I absolutely love paper and designing things to go on paper, so I would have made STDs (tee-hee, it never gets old) regardless of how many guests are out-of-town. Hive, I have a confession. I’m known to be a bit of a perfectionist. Not a “rrrrrggh, I’ll go bridezilla on you!” perfectionist, but nevertheless someone who obsesses over the tiniest details. I am also an artist (an illustrator, to be specific). Combine those two elements and you wind up with an artist who has to create the absolute PERFECT representation of who-we-are-as-a-couple design to share with the world. That’s a lot of pressure. And requires a LOT of thought. So as you can imagine, our STDs were not created right away. In fact, I may or may not have procrastinated a little. Or a lot. I knew I wanted to have an illustrated drawing of us, but suddenly the deadline to mail them out was looming, and I didn’t even know where to begin, and oh gawd I really need to settle on our colors, and I want to draw us but it’s been so long since I’ve drawn people and does Mr. Bunting look too Asian and why don’t I look right and yes we shall have blue hair because it’s cool and finally, WHEW-THEY’RE-DONE! As done as they’ll ever be, anyway! I wasn’t completely satisfied, but sometimes you just have to set things free (especially when they’re overdue). Like many budget-friendly brides before me, I designed them in the format of postcards to take full advantage of the cheaper postcard stamp. I also learned (beforehand, thankfully) that the US Post Office cannot and will not mail postcards with rounded corners, so I only rounded them on those I knew would be personally handed out. It’s actually a good idea to stop by your post office with a mock-up before you print your entire run of postcards or wedding invitations, just to make absolutely sure they’re good to go. In retrospect, I would have put the date on the front side, as many people didn’t think to flip them over and read the back. Consequently, many people did not even know we had a wedding website since that tidbit was also on the backside. Even Mother Bunting didn’t know there was information on the back, but to be fair I did personally hand it to her instead of mail it. 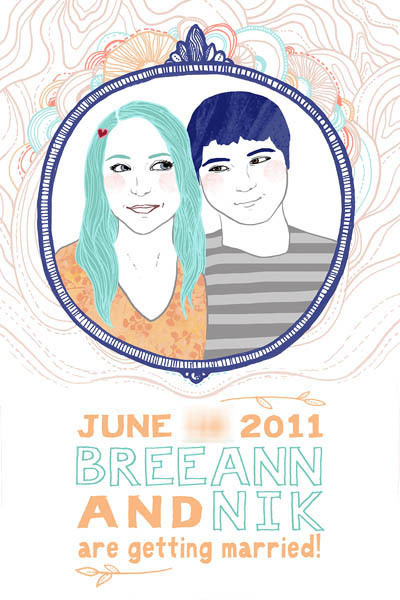 How did your save-the-dates turn out, and if you made them yourself did you struggle with the “perfect” design? Did you learn anything else about mailing standards that other brides should know beforehand?